Berlin - Like a handful of the teams around them, Hertha Berlin ended the 2014/15 Hinrunde looking nervously over their shoulders at the wrong end of the Bundesliga table. Victories over VfL Wolfsburg and Borussia Dortmund notwithstanding, it was a first season-half of precious few highlights for the capital club, who sit just one point above the bottom three going into next Sunday’s Matchday 18 clash with fellow strugglers SV Werder Bremen. 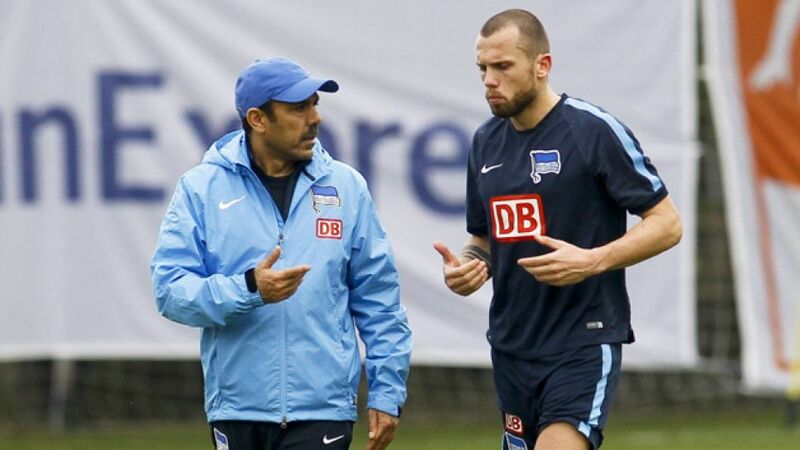 Hertha were one of half a dozen clubs from Germany’s top flight to set up camp in Belek during the winter break and the week-long stay on the Turkish Riviera has undoubtedly raised morale among Jos Luhukay and his troops, not least because the club’s injury crisis appears to be easing ahead of the Bundesliga restart. “Fabian Lustenberger and Sebastian Langkamp have been able to train with the first team and Roy Beerens is also back with us,” said Luhukay. “We’ve made progress in all areas during our stay and we’ve also had nice weather with a lot of warmth and sunshine.” Nevertheless, the Dutchman is still without the services of Tolgay Cigerci (toe), Alexander Baumjohann (knee) and Änis Ben-Hatira (foot) with long-term injuries. The Berlin squad were given two days off after landing back in the capital on Saturday, but will resume training on Tuesday ahead of the trip to 16th-placed Werder next weekend. Victory at the Weser-Stadion could put some vital breathing space between Luhukay’s charges and the bottom three, but playmaker Ronny is under no illusions about the difficulties of facing a side that haven’t lost at home since the back end of October. Hello Berlin! We've landed safely.